Jessica is also an ambivert, which makes her kind of an expert on both angles, as ambiverts’ personalities are fairly balanced between being extroverted and introverted. Hopefully we introverts can all take something away from this podcast episode! And of course, in his mind he is like, “I already told you I love you. Do I have to do that again?” (sound familiar?). Over the years, Jessica has learned not to take silence or space in their long distance relationship as something she should internalize. Talking about their divide in expectations has really helped their relationship succeed, and is a big takeaway from this episode today. · Planning an outing, not springing an outing on him (and giving him time to mentally prepare for social interactions, like we have discussed in past episodes!). · Transitioning into and out of social events (buffer time before and after). · Establishing a space to decompress and indulge in a little “time-out” when things get overwhelming. What do introverts need to know about our extroverted friends, partners, and family members? They default to processing thing verbally in the moment while introverts take stock internally. If something is bothering you, how is your partner going to know if you suppress your wants and needs? Compromise is, hands down, an important part in having a successful relationship. As Jessica pointed out, “What is the balance between compromise and compromising yourself?” The important thing to remember is that changing who you are is different than accommodating. 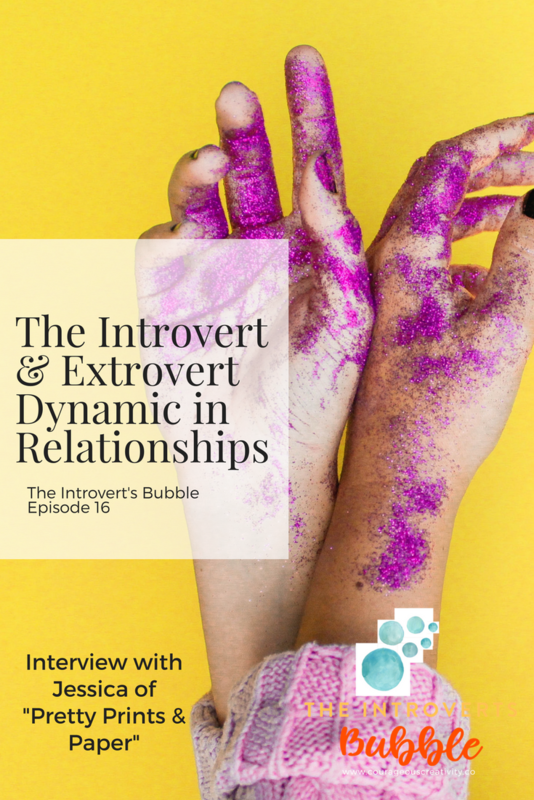 As always, it is enlightening to learn about the extrovert’s brain so we can successfully navigate relationships this crazy world we live in.